3. Pour the salt water over the cabbage leaves and let them soak for an hour and a half until the leaves soften. Then rinse them in cold water. Drain and set it aside. 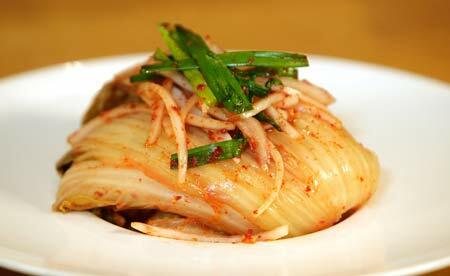 You can also try making other kinds of Kimchi using Hawaii Kai’s Red Gold Sea Salt.